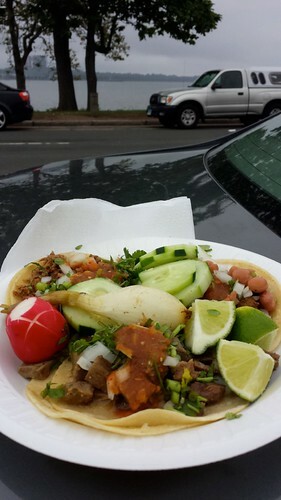 $1.50 tacos from one of the taco trucks on Long Wharf Drive (right off exit 46 of I-95), devoured using the trunk of my car as a table while looking out onto the water made this race worth the 1 hour 15 minute drive to and later, from, New Haven, Connecticut. What can I say? I’m food driven. I heard about this race from a fellow runner at work. I somehow signed up for this race while feeling guilty for chowing down on some honey peanut butter chocolate chip cookies that did not come out as planned (yup, I like to eat my mistakes before anyone finds out). I neglected to realize that a 20K is just less than a mile short of a full half marathon. My training has fallen by the wayside. Summer, it seems, got away from me, and my running has followed. I was not as ready as I should have been. 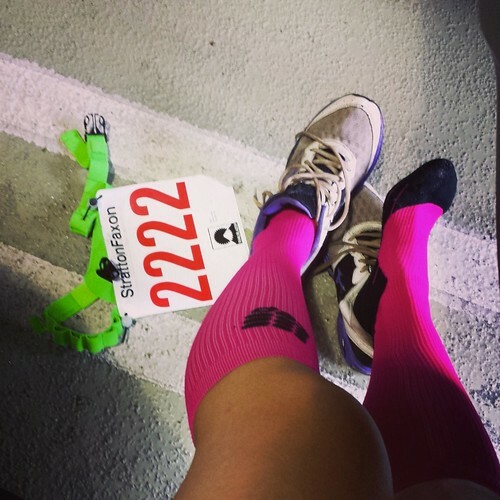 But there I was, at the start line with a really cool race number (2222!) hoping my legs were up for this. They had to be. There really wasn’t a choice about finishing, although how I finished was up to them. The weather was overcast, warm (upper 70’s to almost 80), and 1000% humidity. I know, there isn’t such thing, but let’s just say it was so humid, there was a constant mist/drizzle that made it feel like I was running through a swamp. So, not the best racing conditions. The whole event itself was very well organized. Parking was available in one of two lots very close to the start/finish. The lot I chose (Crown Street lots) costed me $5. There were enough porta-potties, the start was easy to find and everyone for the most part lined up pretty well according to planned pace. There are a lot of people, but not so much that you are constantly shoulder to shoulder. After the first couple of miles, it starts to spread out a bit, so you have some room, but you are never alone. The course was pretty flat, with a couple of hills, although nothing too challenging. The water stops were plenty, fully stocked with gatorade, water, and very enthusiastic volunteers handing them out. Judging by how many people I saw drop like flies from horribly painful cramps in their legs towards the end of the race, water stops were a must. Even I started having some issues in the last couple of miles, and I was taking more water than I thought I needed. Endurolytes are my best friends. The post race food was pretty amazing. 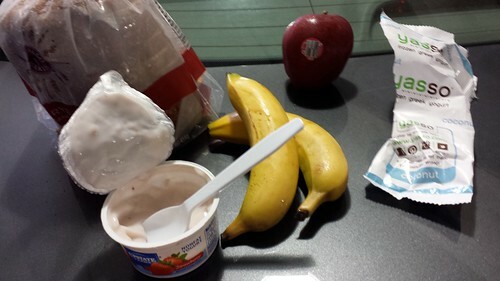 There was beer, a whole loaf of bread, apples, bananas, yogurt and frozen yogurt bars. I had a little picnic at my car as I tended to some cramping issues (next time, I’m taking the elevator…the stairs only bring on additional pain) and de-grossified enough to look like somewhat like a lady before I drove off to find the taco trucks. My performance wasn’t that great. I took more walking breaks than I would have liked, and generally just felt terrible throughout the whole race. Was it the humidity? Maybe. Was it the poor training? Mostly. Was it that I was no longer as young as I used to be, and shouldn’t be pushing myself like this anymore? I think so. 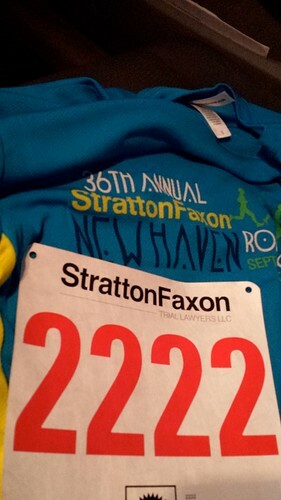 This entry was posted in Running and tagged Long Wharf Drive, Race report, Running, Stratton Faxon New Haven 20K, Taco trucks. Bookmark the permalink.